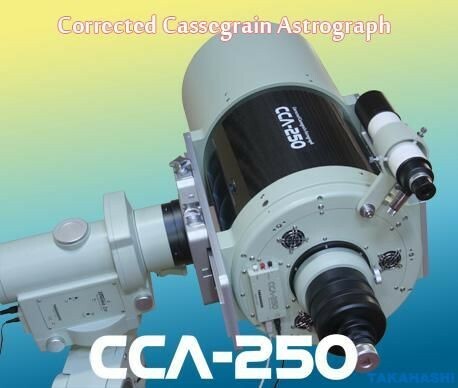 Designed to replace the Takahashi Baker-Ritchey Chretien BRC-250, the Takahashi CCA-250 Corrected Cassegrain Astrograph takes its place among the stars as the latest visual and astrophotogic instrument. 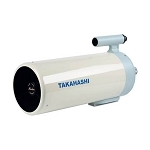 With built-in electric focus, the Takahashi CCA-250 Astrograph allows use of software to ensure perfect focus... and a large camera rotator can make use of an electric rotator for remote operation. Able to operate at three different focal lengths - f/5, f/3.9 (with 6345 Flattener) and f/8 - this new design makes use of today's modern big chip cameras. 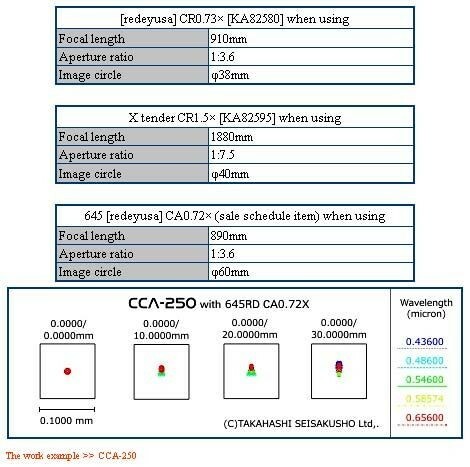 Add a carbon fiber tube to the equation for light weight, stable temperature operation and excellent focus and you have the new Takahashi CCA-250 Tri-Focal Astrograph! 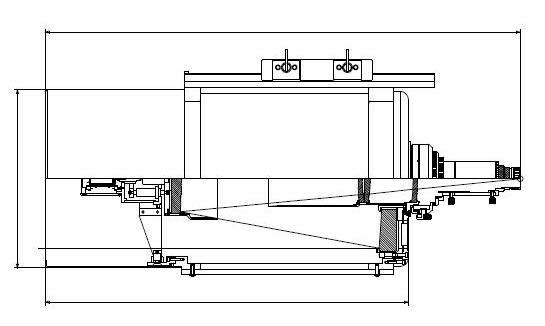 With the Takahashi] Active Focuser system which installs the stepping motor for focus adjustment in rear side of the secondary mirror, the focus adjusting is done by electromotion. 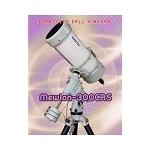 Depending upon this system, automatic focusing of the digital equipment became possible. By the fact that drive is installed in the tube, the number of cables which become troublesome is decreased. When using automatic focusing function, it connects with the personal computer, and the USB cable from control software Focus of attachment Infinity controls. Because you prepare also the driver of ASCOM correspondence, also the control from of FocusMax and MaxIm DL and the like is possible. It operates, the power source of DC12V is necessary. 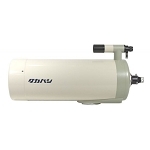 Around the principal mirror and inside the tube, temperature of the air is measured with the sensor, when temperature difference of the section is large, in order the ope air temperature to adapt quickly, 3 inhalation fans lead the air to the principal mirror. Be able to set the operation setting of ON and OFF, from Focus Infinity, 3 fans it controls under the conditions which are set. Even with button operation of drive the fan it CAN TURN ON and CAN TURN OFF. The inhalation fan, in order not to become the interference of photographing, has used the vibrating fan low. As for the tube, being lightweight, thermal expansion almost has used the domestic carbon tube which is not. 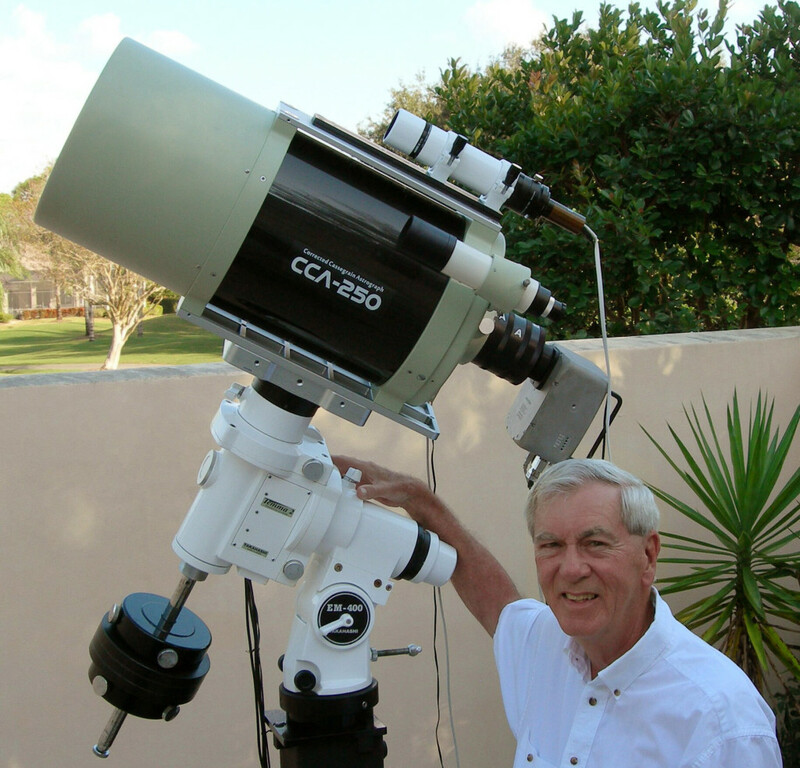 Loading to equatorial is not tube band system, is formula of the new design. 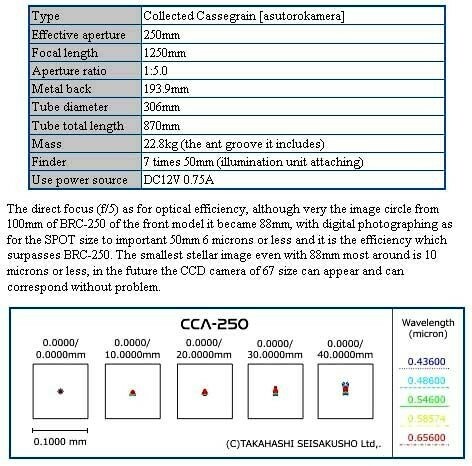 With the automatic focusing function of control application “Focus Infinity” of attachment, the focus adjusting of the photographing equipment being automatic with operation from the personal computer, it is possible. Drive and the personal computer are connected with the USB cable, the picture from the camera is captured, optimum focus position is searched. 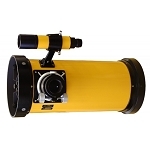 Other than the focus adjusting, it can operate convenient function such as control of the fan and setting of pre-setting position of 3 places with the personal computer of labor assistant. * Only one for Windows.